Twitter, is a social network ultra popular around the world, knew how to impose a new concept and managed to catch the users of the Internet and its millions of members can attest to that. Clones have appeared several times on the microblogging network and now have a new one. Its Heello, an almost Twitter clone that surely will be more of a demand. 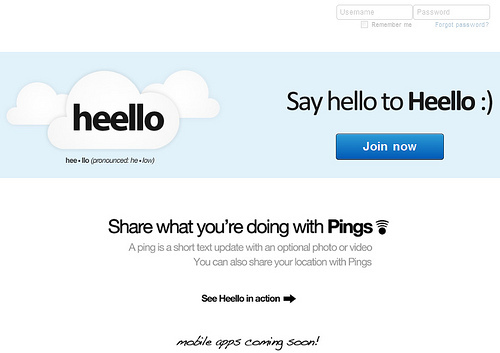 In Heello, also have 140 characters to send messages, which in this case named Ping, which may include photos, videos and the location of the user. Moreover, its design is extremely similar to Twitter. Heello is the work of Noah Everett, the creator of TwitPic.